Albert Einstein once said “the measure of intelligence is the ability to change,” and this rings true in the exchange-traded fund (ETF) space where innovation is rife, but those who fail to adopt the latest and greatest technology could be left in the dust. EquBot ETFs understands this urgency and realizes that technology like artificial intelligence (AI)–once considered the technology of the future–is now the technology of today. This is inherent in their AI-powered ETFs, such as the AI Powered Equity ETF (NYSEArca: AIEQ). ETF Trends CEO Tom Lydon visited with Yahoo! Finance Live to discuss AIEQ, as well as the latest goings on in the capital markets. 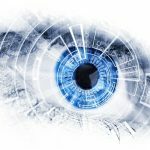 Of course, when such a transformative technology like AI is introduced into a financial industry that can be reticent to change and stuck in its tried-and-true ways, it can present a challenge. However, those who are slow to adapt could be the ones who are left behind. The model was developed in-house by EquBot LLC and runs on the IBM Watson platform. The platform is on the cutting edge of tomorrow’s technology, such as combining AI and blockchain to secure private records in industries like health care. EquBot, the fund’s sub-adviser, is a technology based company focused on applying AI-based solutions to investment analyses. With technology expanding at such a rapid pace, being at the cusp of a major breakthrough seems like a daily occurrence. 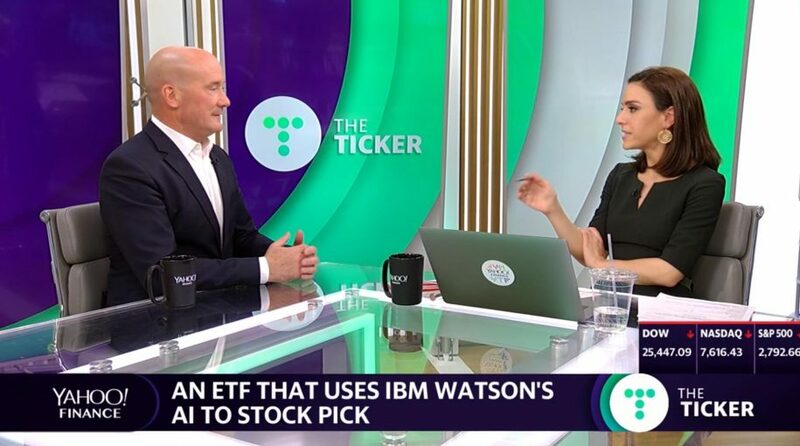 Investors can position themselves to benefit from these breakthroughs when they eventually occur by being in these AI-focused ETFs. Investors are increasingly emphasizing low cost a prime motivator for allocating capital in 2019, which makes emerging markets an attractive option. Thus far in 2019, strength in U.S. equities is translating to strength abroad as emerging markets after a 2018 to forget. The EM space is banking on a possible trade deal between the United States and Chinaas the main trigger event that could send emerging markets through the roof. While the majority of investors might have been driven away by the red prices in emerging markets during much of 2018, savvy investors who were quick to see the opportunity viewed EM as a substantial markdown. From a fundamental standpoint, low price-to-earnings (P/E) ratios in emerging markets ETFs have made them prime value plays as capital inflows continue. In addition, a more dovish Fed with less rate hike expectations could provide even more fuel for EM to take off with a weaker dollar. In a press release, MSCI Inc. said it would increase the weight of China A shares in the MSCI Indexes by increasing the inclusion factor from 5% to 20%. As such, one ETF to consider is Xtrackers Harvest CSI 300 China A ETF (NYSEArca: ASHR) as a way for investors to gain exposure to China’s biggest and best equities. “If you feel like a trade deal is going to go through, keep an eye on that (ASHR),” said Lydon.